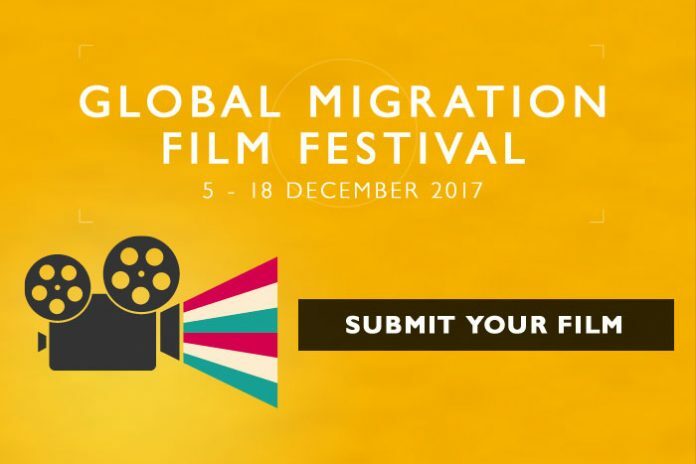 The Global Migration Film Festival showcases films that capture the promise and challenges of migration for those who leave their homes in search of a better life and the unique contributions migrants make to their new communities. In 2016, the inaugural festival took place in 89 countries. Nearly 10,000 people attended 220 screenings at cinemas, universities, cultural institutions and other venues. The festival hosted 13 films and documentaries, as well as 200 short films about and by migrants. Professional filmmakers working in all genres are invited to submit films on festival themes of at least 25 minutes in length to be considered by a committee of international film professionals. Emerging filmmakers from 92 select countries are invited to submit films on festival themes of at least 25 minutes in length for the festival and a competition. A committee of international film professionals will select three films and winners will each receive a prize of $1,500. Filmmakers from 92 select countries who have migrated in their lifetime are also invited to submit 1 – 3 minute video profiles about their own experience or video profiles of other migrants, that will become part of IOM’s i am a migrant campaign and considered for screening at the 2017 film festival. 20 i am a migrant videos will be selected and winners will receive $100. Please submit your entry information and film using Filmfreeway. Films should be at least 25 minutes in length for consideration. Films should portray the promise and challenges of migration and contributions migrants make to their new communities. Films that challenge negative perceptions of migrants, defy stereotypes and feature positive and welcoming actions by and toward migrants are encouraged. Films in English are preferred. Sub-titles are encouraged, even if the characters speak English, to ensure maximum comprehension for global audiences. Films in other languages are encouraged, but must have sub-titles in English. Films completed in or after 2013, or over the past five years, will be considered. The festival will inform applicants if their film has been selected by mid-October. For each selected film, the submitter or the filmmaker should be prepared to provide stills from the film, a trailer and a bio and photo of the film’s director. Previous articleUCT Klaus-Jürgen Bathe Leadership Scholarships 2018 for Undergraduate African Students (Fully Funded).